Sometimes mistaken for ponies, Icelandic horses are much smaller than their mainland cousins. The reason for this is because it was easier to transport small horses, via boat, to a remote area like Iceland. Due to a peculiar quirk in how horse DNA works, small horse genes are linked to intelligence, leading the Icelandic horse to become smarter and more social than most other horse breeds. The Icelandic horse has become popular all over the world, especially in riding clubs and breeding societies. While 80,000 of these horses live in Iceland itself, a further 100,000 have found homes for themselves in other countries. The first Icelandic goats are believed to have made their way to Iceland from Norway more than a thousand years ago. These characterful creatures sport long beards and curved horns, making them look like small, four-legged Vikings! 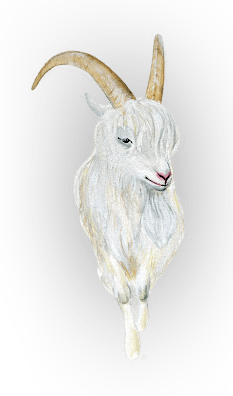 Unfortunately, the Icelandic goat has been on the verge of extinction since the late 19th Century, with less than a thousand individuals remaining. However, their numbers are recovering as the Icelandic government have started paying farmers to look after them. The goats are now seen more as pets than livestock. Fans of the Harry Potter movies will instantly recognise this particular species of raptor (bird of prey). 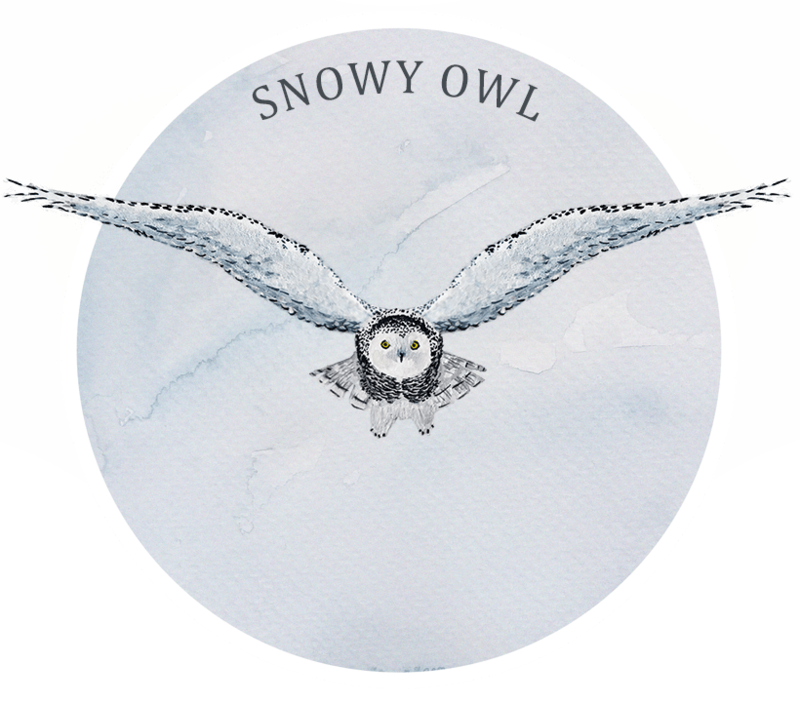 After all, Hedwig, Harry’s pet and loyal companion, was a snowy owl! 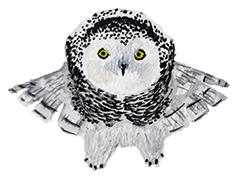 In the wild, the snowy owl is a master predator which can hunt by day or night, using a mixture of intelligence and extraordinary eyesight and hearing to find prey, which includes all sorts of small mammals, other types of birds and even fish! The entire Arctic region is the snowy owl’s domain. They can be spotted virtually anywhere in Iceland and have even been observed over 600 kilometres out at sea! Resembling a cross between a seagull and a hawk, the great skua is the bully of the Icelandic skies. While perfectly capable of hunting for themselves, they prefer to use to their great size (their wingspan can stretch to more than 4 feet) to help them steal from smaller birds such as the Atlantic puffin. While the great skua has been spotted all over Iceland, they tend to favour the south coast. 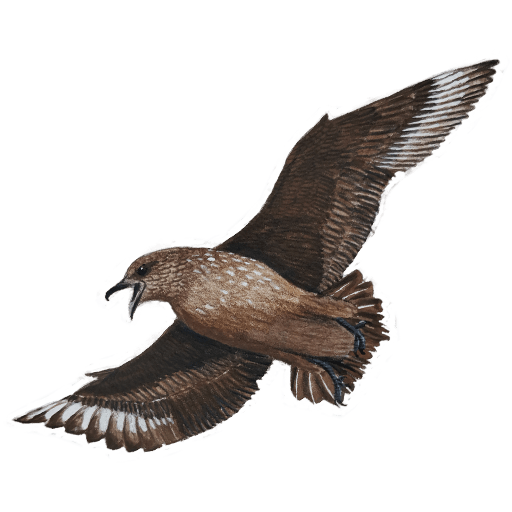 Birdwatchers should thread carefully though – skuas are fiercely protective of their young and are not afraid to attack people who get too close to the nest! They usually give a fair warning first – flapping their wings and making lots of noise. Respect them and they will respect you. 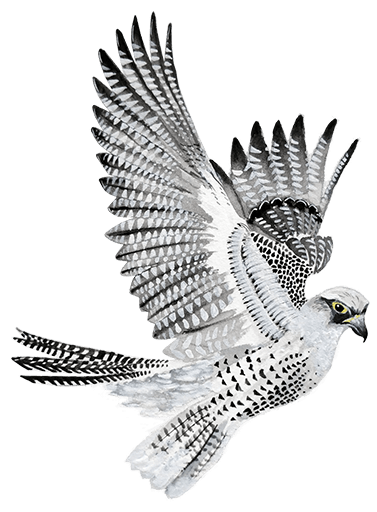 The largest species of falcon in the world (with females being bigger than the males), the gyrfalcon has been used by Icleandic hunters for generations due to their ability to track down almost any prey. While a skilled and powerful hunter, the gyrfalcon poses no danger to humans. Unfortunately, we pose a threat to them. 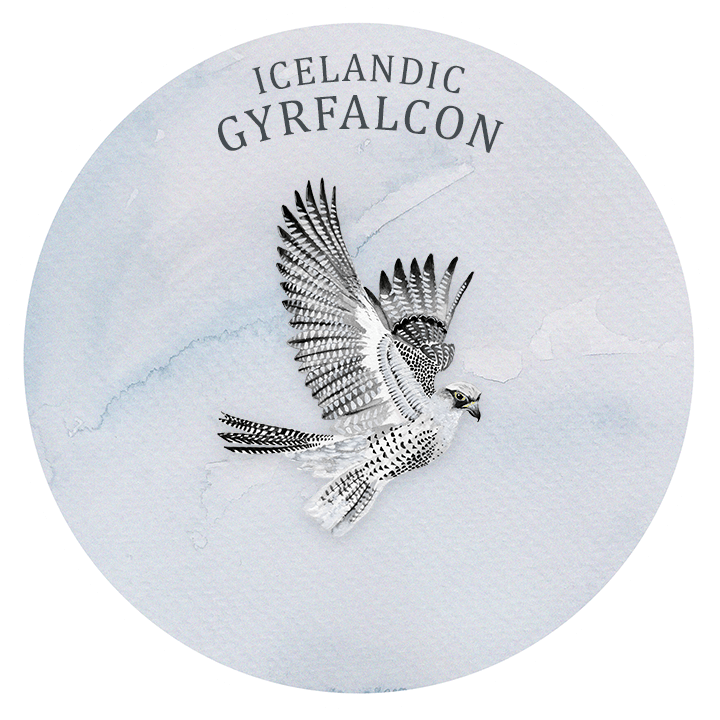 Due to climate change, gyrfalcons are going extinct in many regions, but Iceland remains one of the few places where they still thrive. They seem to be especially fond of Lake Myvatn in Northern Iceland. 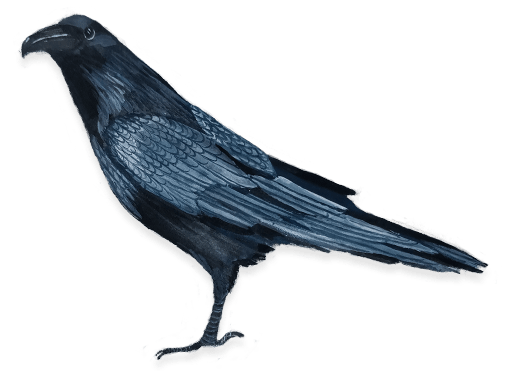 A member of the crow family, the common Icelandic 'northern' raven is considered to be one of the smartest animals in the world, with the ability to solve problems and communicate abstract concepts. This intelligence has led many to believe that these birds are Odin's secret spies! As their name suggests, common ravens can be found all over Iceland. You can find out more about these fascinating birds in our raven folklore guide. While puffins look awkward and comical on land, they are speedy and manoeuvrable fliers, reaching speeds of more than 80 kmh per hour, and can dive up to 60 metres underwater, proof that you should never judge a bird by its outward appearance! 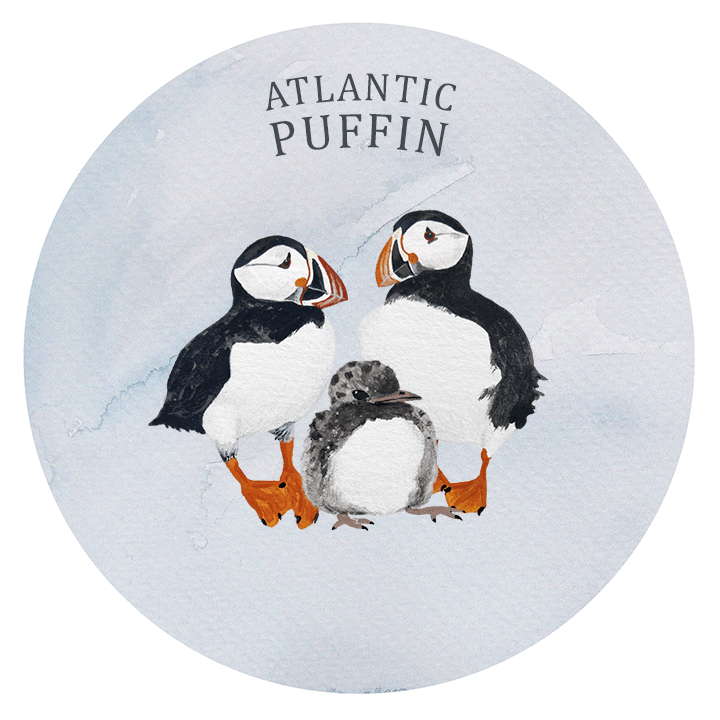 Atlantic puffins mate for life and raise one 'puffling' every year. Puffins nest pretty much anywhere where there is a rocky outcrop along Iceland’s coast. 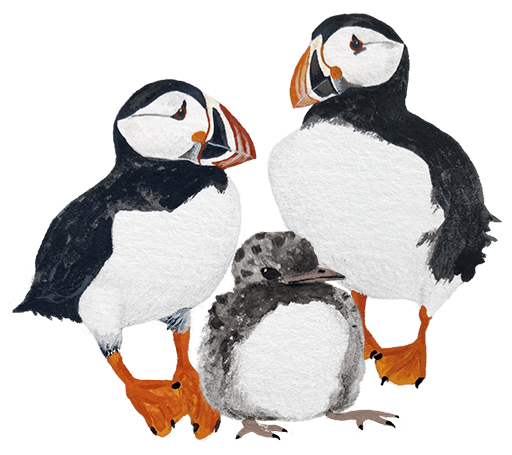 We have compiled a list of the best places to see puffins in Iceland, so you can see these cutest of birds for yourself. 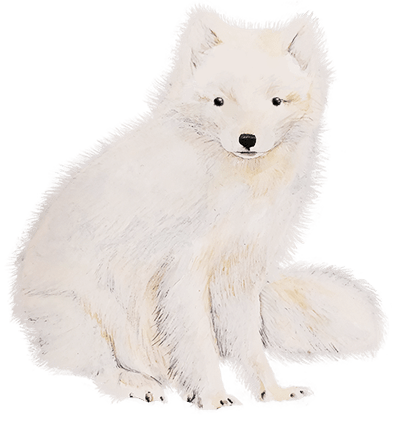 The Arctic fox is Iceland's only native land mammal, having lived there since the last ice age. All other mammal species having been introduced to the country by humans. 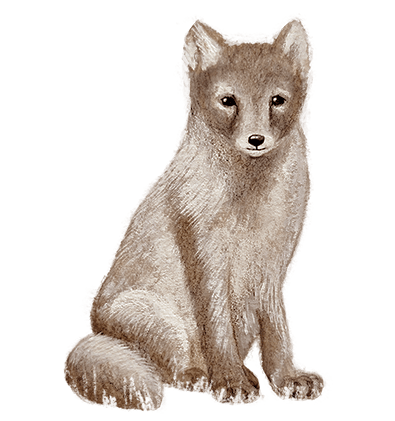 Arctic foxes have two 'morphs'; a sleek brown one for summer and a white fluffy one for winter, making them experts when it comes to camouflage, no matter what Iceland’s changing climate throws at them! They use their keen sense of smell to detect prey hidden beneath the ice and can pounce right through it! Arctic foxes are curious critters who have little fear of humans. While not dangerous, they are mischievous, and will often sneak into camps looking for food and garments to steal! The best way to see the Arctic fox in the wild is on the Hornstrandir Nature Reserve fox-watching tour. These massive relatives of seals can weigh over 1,000 kg and are best known for their huge, meter long tusks which rowdy males use as weapons to fight over territory. Despite appearances, the tusks aren’t used to hunt. Instead, the walrus’ strange moustache (made up of hair-like structures called ‘mystacial vibrissae’) is used to help it find food in murky water, making up for their poor eyesight. 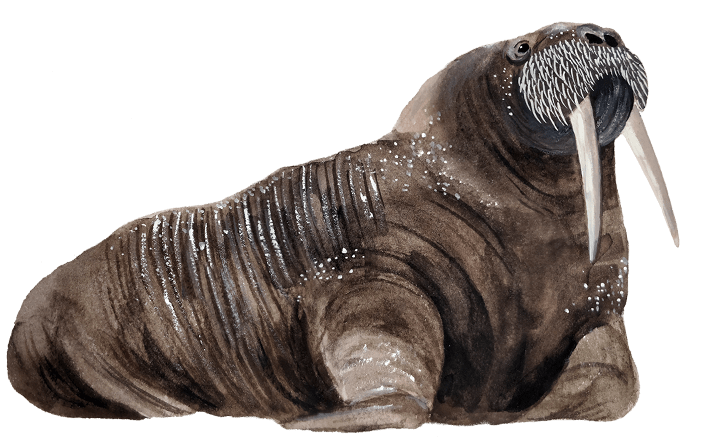 While Iceland's native walrus population was wiped out by overhunting in the 17th Century, they have been making a comeback in recent years and can now be spotted making their way up the Westfjords from time to time – life finds a way! There are two species of seals which live and rear their pups in Iceland; the grey seal (Halichoerus grypus) and the common harbour seal (Phoca vitulina), while other species have been known to visit occasionally. Where there is coastline in Iceland, seals are usually not too far away. While they are generally quite hard to spot, they often come ashore on the Snaefellsnes Peninsula’s gold-sanded beaches to rest and bask in the sun. While traditionally, many Icelanders viewed seals as pests which damaged fish stocks and needed to be culled, the opening of the Icelandic Seal Centre in 2006 has led to this idea being challenged, with research now suggesting that seals' benefits to Iceland's eco-system and tourism industry outweigh the negatives. 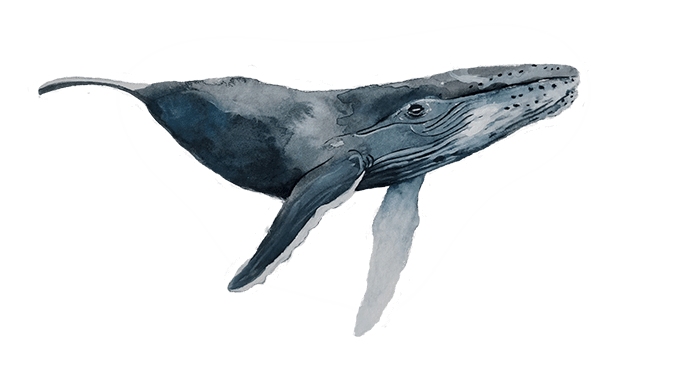 More than 20 species of whales inhabit Iceland's waters, from the tiny dolphin-like harbour porpoise to the mighty blue whale, the biggest animal ever to have lived (even bigger than any dinosaur). The most commonly spotted is the humpback whale, which enjoys putting on a show by jumping out of the water and making a big splash! Whaling is a controversial subject in Iceland. While it has been practiced since the 12th Century and is regarded as being somewhat traditional, many are now seeing the benefits of keeping the whales alive and well. Whale watching has become one of Iceland’s most valuable tourist attractions and is a much more humane way for people to enjoy these magnificent creatures. Being the slowest fish in the sea has its advantages though. Greenland sharks are the longest-lived animal on the planet, believed to live for more than 400 years (although no one has been around long enough to find out their maximum age for sure)! From imposing volcanoes to mighty glaciers, it is Iceland’s impressive geography which has made The Land of Fire and Ice famous around the globe. While the landscape is fascinating in itself, it is also home to a dazzling variety of Arctic animals; spirits of land, sea and air. 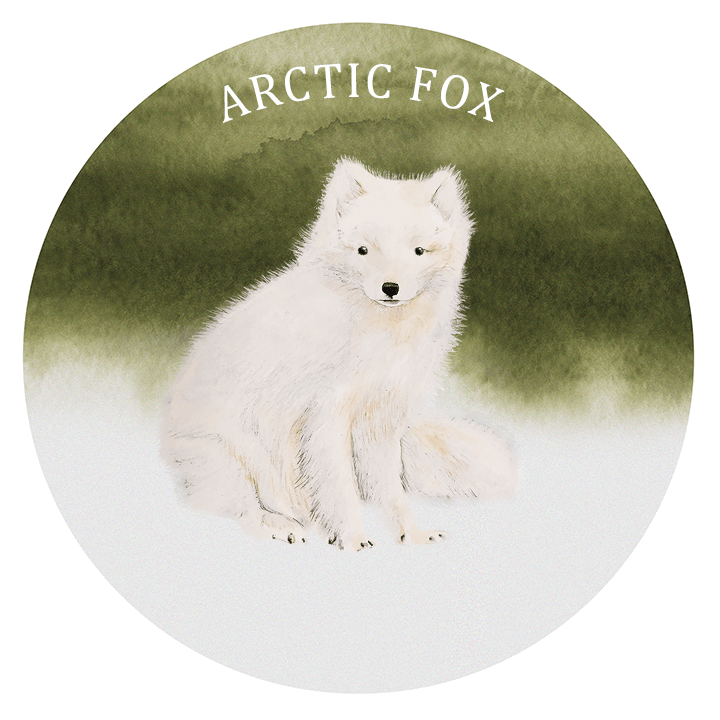 Our interactive wildlife guide reveals all sorts of amazing and surprising facts about these Fantastic Arctic Beasts (and where to find them). To find out more about your favourite Icelandic animal, simply click on it and our narrator will tell you everything you need to know.